There is big, and there is BIG in the computer world. The days where products are just confined to one form factor are long over. Today, we have computers in all shapes and form - from something you can mount behind your computer all the way to all-in-one products. 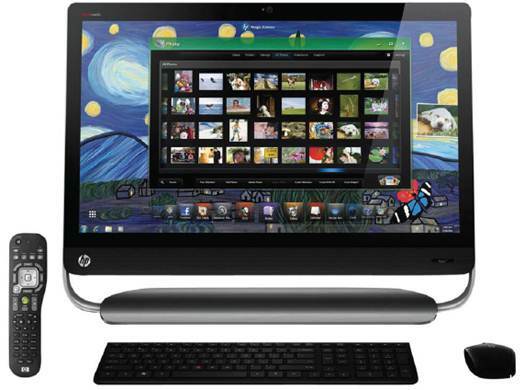 We have here HP’s latest all-in-one PC, the Omni 27, which is designed for the home consumer. Let’s see what it is like here in our labs. When we took the machine out of the box, let just say that gasps of awe can be heard all over the lab. The first thing we notice when the Omni 27 has been set up is an expanse of its glass protection. Being a 27in, you know you will get the best viewing experience with this monitor. Running at 1980 x 1080 pixels, it is officially a Full HD screen, perfect to playback all of your media on screen in its full glory. In terms of expandability, there is just so many ports on the machine than there are in the ASEAN region, figuratively speaking. The ports starts from the left, with two USB 3.0 for easy access, a memory card reader that accepts SD cards, microphone jack and the must have headphone jack that is highlighted with the Beats logo. Yes, the Omni 27 supports Beats Audio so you can be sure that the sound processing on the headset will be phenomenal. At the back, you will see four USB 2.0 ports, a LAN port and power port. To power such a machine, the Omni 27 uses a power brick like the notebooks of days gone by. Inside the Omni 27, you will get a second generation Intel Core i7 processor, with 8GB of RAM, a 2TB hard drive and GeForce GT520M chip with 4GB of RAM. It’s definitely more than enough to make your movie viewing experience a great one. Unfortunately, this is one of the drawbacks of the Omni 27 as it uses a mobile graphic chip rather than a desktop class discrete video processor. 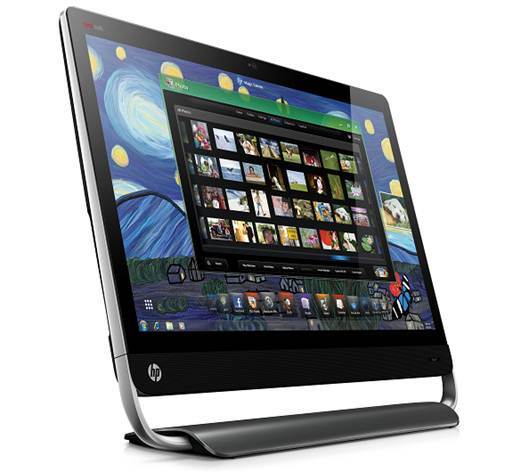 We feel this is not the best route for HP to follow as the chip - while powerful - is not as powerful as the desktop graphic chips, thus the gaming experience is not as great as one can expect it to be. We ran a few tests to check how good is the performance of the Omni 27 by using Future mark’s PCMark07 and Pass Mark’s Performance Test. PCMark07 rated the Omni 27 with 2843 points while the Performance Test registered a respectable 1829 points. It is not the fastest machine around but for what it can do, we are rather happy with it. The only thing that is missing from this model is the lack of a touchscreen option. Pity.